Designed places need four characteristics to ensure we enjoy them: mystery, complexity, coherence and legibility. So say Rachel and Steven Kaplan, in their book, Experience of Nature: A Psychological Perspective, which draws on research-based analysis to understand which types of natural environments people prefer. This concept was just part of a fascinating article by Harry Wade that I stumbled across whilst researching the natural vegetation of New York. Having visited the Brooklyn Botanic Garden last month and taken a guided tour, I found myself not drawn to the guide’s favourite Japanese garden, nor the impressive, brand new, $17m water garden or brightly coloured herbaceous borders, but instead, to the Native Flora Garden. Regular readers of my blog may not need to sit down in shock at this point. But I did struggle to work out exactly why I loved the native section so much. I really know nothing about New York natives, after all. So why did it feel so right? I started looking for clues by researching the two plant communities that the garden is based on: the coastal plain meadows of Long Island and the cultivated pine barrens that once existed in metropolitan New York (and still remain today in neighbouring New Jersey). It was interesting enough to read about the barrens’ acidic, sandy soil that had refused to grow European settlers’ familiar crops (despite supporting over 850 native plant species) but it didn’t tell me why this part of the Botanic garden held my attention for so long. But reading Harry’s captivating article soon enlightened me. Harry had met with the hugely talented Darrel Morrison who designed the Native Flora Garden and all immediately became clear. If you have time to read the article, I’d highly recommend it, although at some 3,500 words, I’ll try to summarise some of the key messages more briefly here. Complexity was a biggie. Darrel describes how the best classroom of all for developing an eye for complexity was his time spent in the field, particularly in native prairies. It is immediately clear just how well he understands wild plant communities: it is staggering to think that the garden was only planted three short years ago. Perennials are so well woven together, you’d think many of them had been there 300 years. It is the complexity that grabs you. Just so many different plant species, some familiar, some less so, but all growing together with such a natural look. I found it surprising that it could feel so natural to me when I’d never seen wilderness like this. It just goes to show that nature always looks right. And whilst there was immense complexity, it was an extremely unified, or coherent design. The two, quite distinct but disparate, plant communities seamlessly merged at the interfaces, with a handful of common species and wonderful flowing pathways. Vantage points allow you to see the two communities simultaneously, as meadow flowing into woodland. And so if we return to the Kaplans’ theory on design, we have seen complexity and coherence at the Native Flora Garden. Is there mystery? Perhaps part of the mystery to me was discovering a whole new type of plant community. But there was also an element of suspense, with narrow pathways twisting through the grasses leading you to who knows where. And I think complexity itself adds to the mystery. There are so many layers of plants and insects, birds and other animals. You keep looking, unsure of what you might see next. Harry describes the boardwalk as graceful, smooth and comfortable rather than modernist and sleek. Music to my ears! Which leaves us with the final element of Kaplans’ theory: legibility. Harry describes this as “the reassuring perception that there is a clear and safe way through and out of a place we inhabit”. I think about legibility more and more as my thoughts on design develop and I often consider how easy a design is to ‘read’. To me it is the making sense of lots of disparate parts; of seeing clear patterns and shapes that enable us to break something down into manageable and definite chunks rather than simply observing a single, overwhelming, indistinguishable mass. The Native Flora Garden has this readability in spades. The delicate, vertical forms in the meadow can all be read as one; the regularly punctuated barrens with its distinctive pines also as one; and the wonderful, softly flowing organic curves of the pathways and pond enable your eye to quickly decipher the overall layout of the garden. It is at once complex and simple. We can make sense of the space almost subconsciously, enabling us to fully relax, unconflicted, which in turn enables us to more fully take in the extent of the layers of complexity beneath this legible surface. Harry also goes on to describe ‘aspect seeing’: a posh way of saying that we can view things in different ways. For example, I might look out and see the whole design in front of me, whilst a friend right next to me might be all consumed with the plant tag of one particular species. Do we simply see something ‘pretty’, or do we see something we associate with our childhood, or do we see a mature Symphyotrichum oblongifolium? The philosopher, Ludwig Wittgenstein, argues that if we ask which it is, we destroy the experience, which is all of these associations held together at the same time. I’m particularly fascinated by the impact that vivid associations from our past can have on us many years later. Personally, I’ve only just learned to love silver birches, after a particularly badly placed, solitary tree in my neighbours’ 1980s garden put me off them for years; I’m very conscious of allowing for seemingly irrational dislikes of clients in their designs. But this idea of letting our interpretation of a garden be influenced by so many factors is one that I’m very drawn to. I certainly feel more emotionally moved by the essence of a design as a whole, than by focusing on its component parts (identifying those is for after the visit!). I like the idea that Harry articulates so well, of viewing gardens as abstract design dynamics which allow us to become absorbed in their complexity, just as a beautiful piece of music may engage us. 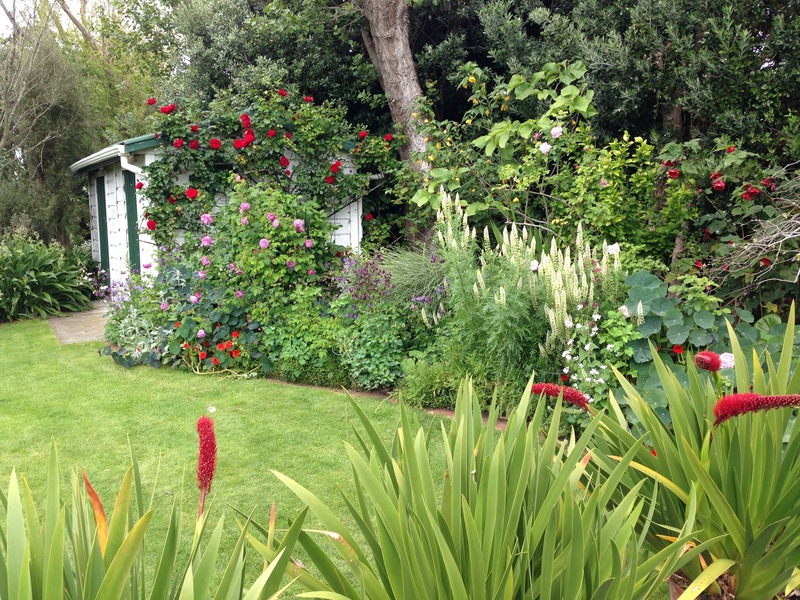 It also suggests that the more gardens you see, the better they get…as if I needed any excuse. Finally, Darrel Morrison describes the misperception that designing with native plant communities is not sufficiently artful and perhaps abandons aesthetics and established design principles. He considers it, in fact, to be a new art form appropriate to the twenty-first century: ‘ecological art’ which is simultaneously aesthetically rich, ecologically sound, evocative of place and dynamic. How very melodic that sounds. No wonder I love this garden so much! The new entrance to the Brooklyn Botanic Garden. I was feeling pretty pleased with myself arriving here, having successfully negotiated the New York subway all on my little own! PS For those of you in the States, happy Thanksgiving! What a great post Janna. 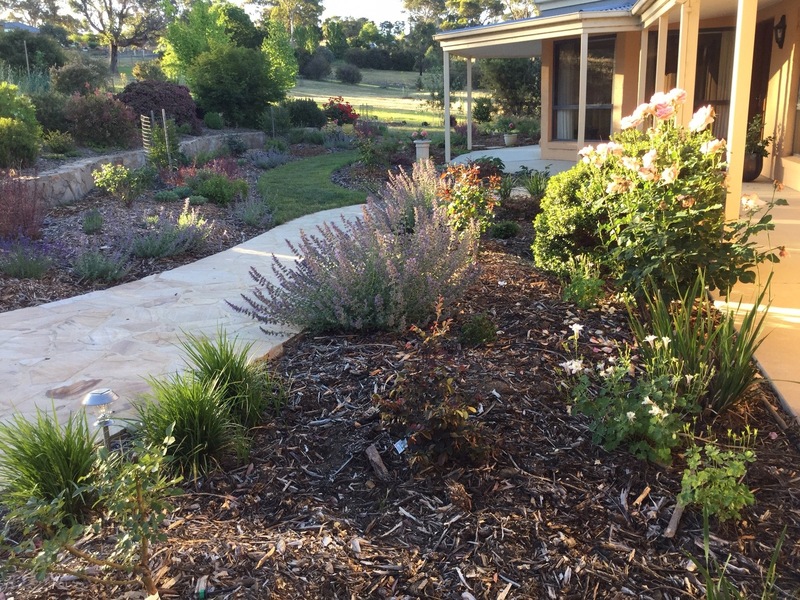 I have always loved naturalistic gardens and assumed it was because of my childhood experiences in the local bush. However, reading this suggests there may be deeper reasons for this preference. And Darryl Morrison is truely a very talented individual …ecological art…I love it! Thanks Suzanne! You’re just well ahead of the game with your naturalistic preferences: a trend setter, I think we’d call you. I read an article last night about Chris Baines, an Englishman who started campaigning for wildlife gardening some forty years ago, and he spoke of how the then Gardeners’ World presenter interviewed him with incredulity in his voice. He won a medal at Chelsea in 1995 and they incorrectly inscribed it with ‘Wildfire’ garden. Funny how things change. As for ecological art, it sounds like the definition of your garden to me. Oh Janna, you do give me a laugh. Trend setter indeed…and wildfire garden! Once again you are very generous re your comments about my gardening efforts. However, I must be doing something right as I now have two resident bobtails and [just between you and me] a healthy snake population, in addition to our numerous feathered visitors. I can certainly see Catherine’s perspective. I’ve never considered flower to foliage ratios. How can anyone not be enthralled with gardening?? There is so much to gardening, isn’t there? An endless supply of fascination. And I’ll keep telling you, I’m just honest, not generous. Mr ‘Wildfire’ has just written a book, which has been very well reviewed: ‘The RHS Companion to Wildlife Gardening’. It looks to be very UK-based but might be worth a flick through if your library gets it in. Probably not so much on snakes in there, but it seems you could advise us all on that topic (particularly around be brave about them). Promise not to mention them to your daughter-in-law when I next speak to her! You know as I looked at your photos, I was surprised by how powerfully the images reminded me of the Australian bush in its early spring (‘sprinter’) phase. Something about the flower to foliage ratios, the rhythm of the shapes. Did it have those echoes ‘in the flesh’? Hi Catherine. Interesting. Do you know, it didn’t really strike me as being very similar to the Australian bush, but looking at the photos now, I see exactly what you mean about the flower to foliage ratios and the flowers were very much of that soft, small but abundant nature of the Australian sprinter (particularly at Muogamarra Nature Reserve). Perhaps I’d have seen it more if I’d been out to experience these plant communities in the wild; clearly this was a stylised version and the planting was so much more dense than you usually see in the bush. You’ve got me thinking now…as always! I kept wondering as I read your very interesting post Janna why this all seemed so familiar, not the plant species, but the essence of the place. I think Catherine is right – it has a sense of the Australian bush, even though the under storey in the bush I have lived with is shrubbier (and can be very dense too – especially the rain forests,mwhen compared to our dry sclerophyll forests) than these pictures of Brooklyn park, it also has lots of grasses or grass like plants and tiny delicate flowers. And I too think it is the flower to foliage ratio. Reading through I felt immersed in a ‘natural plant community’, I am amazed it is so young and planted by humans rather than nature. The ‘original local flora’ photo is a favourite. That’s funny that you saw it in the same light as Catherine. Maybe I did subconsciously whilst I was there, but it didn’t register until you’ve mentioned it. The ‘original local flora’ photo is lovely, isn’t it? It’s so rare to see something quite this naturalistic, yet still with an air of care and love and attention–with its neatly weeded path–in a botanic garden. It was the quietest part of the gardens too; which made it seem all the more magical for it, although it was a real shame so few got to experience it. I think big, bright flowers are still the biggest drawcard in most botanic gardens.